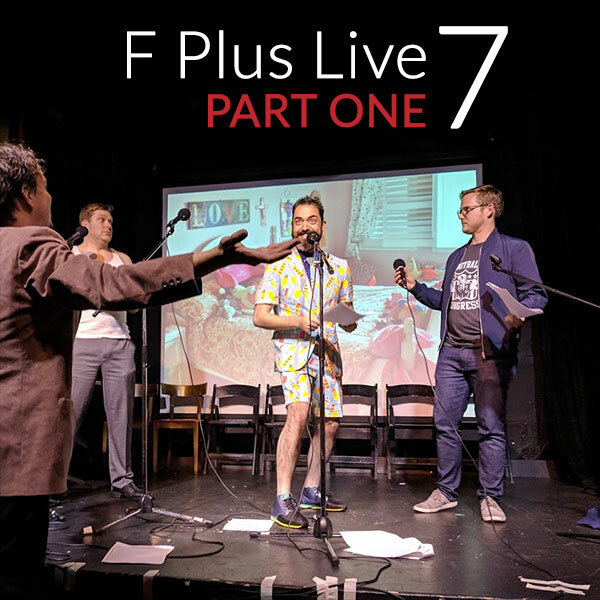 It took us until our seventh F Plus Live to figure out that we could do it somewhere other than Minneapolis, and that we could do it in a theatre! We're so excited about the idea that we start things off with a musical number, before moving right in to reading crap! And this is only the first half of the experience: Part 2 is here. Rogers & Hammerstein - Oklahoma! Note This is the audio experience. We had two mounted GoPros at the show, which may or may not get edited into presentable videos. In the meantime, we didn't want to hold back the audio experience.